Want this cartoon on your wall? Buy the poster! UPDATE: The comic got over 1 million views on Reddit, and stirred up an interesting conversation. You can check it out here. Thank you all. 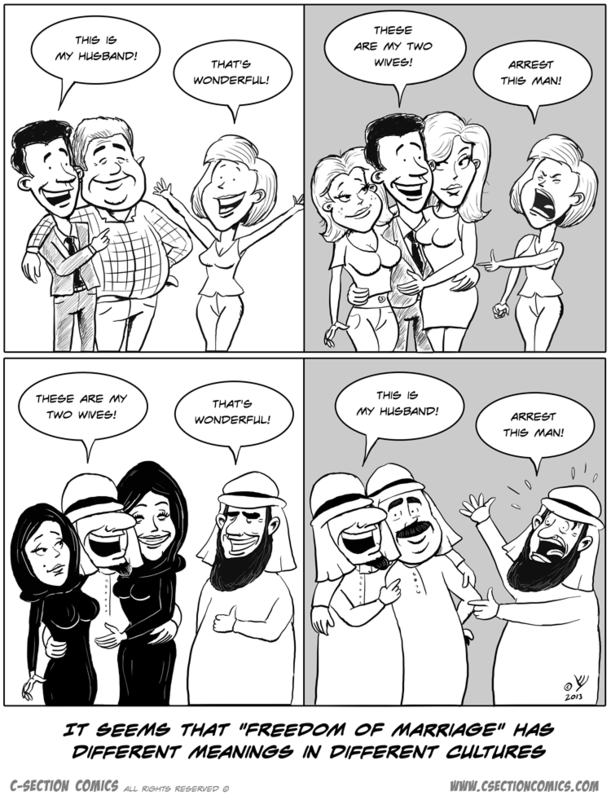 This cartoon made it to Reddit’s r/funny, getting over a million views and stirring interesting argument on gay marriage, polygamy, and cultural differences.